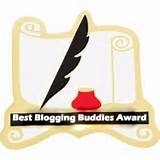 You must make a post to show your award on your main blog. You must tag the person who nominated you in your post. You must ask your buddies at least 15 questions on your post. You must answer all of the questions your buddies ask you. On your post. If you had to choose between your phone or your computer which would it be? If your best friend’s life was on one side, and the lives of everyone else in the world was on the other, which would you choose? The lives of everyone else in the world (that way I get to stay alive!). ;P Okay. It would be an awful choice to have to make, but I think I would probably explain to best friend (probably one of my siblings 🙂 the situation, and they would hopefully understand. But thank goodness I don’t actually have to make this choice! The 6th commandment forbids murder, not killing — something God commands in other places in the Bible such as the conquest of Canaan and as punishment for murder. Murder is taking the life of another in cold blood, that is, without the victim being able to defend himself. War involves the individuals in both parties openly putting their lives on the line for the cause of their side, and therefore the killing is not murder. Furthermore, on the battlefield, the combat and killing is a matter of self-defense. Of course, all this does not diminish the fact that killing — no matter the reason — destroys life and shatters families, and consequently, war should only be engaged cautiously and for worthwhile reasons. Okay, a morelight hearted question. Chocolate or vanilla? Would you swim laps or go cross-country running? I haven’t done much of either. But I like running, and I like the country, so I’ll go with the latter. I started writing when I was really little — A, B, C. Okay, I’m not exactly sure when the precise date was. I used to hate writing because I did so badly at it and didn’t like what I had to write about. Mom worked and worked with difficult me on it, and I finally got the point where I could write well, at least, enough to get better feedback on my papers. When I realized I could do well at it, I started liking it more and more. It’s been a kind of gradual process, starting probably sometime in middle school. When did you finish your first novel? The characters. If you have unrealistic, undeveloped, unoriginal/too stereotypical, boring, our poorly picked characters, the story will flop — no matter what your writing style. And vice versa — if you have good characters, people will read your work, even if your style is a little awkward. Given the choice of a ten million dollars or a close friend, which would you choose? $10 million would bring you a lot of friends. ;P I don’t know. I have some friends (though not exactly a ‘bosom friend’) already, and I’m close with my siblings and all, so I’m tempted to be pragmatic. And I guess I could always just go through life making friends the way I am now… So I guess I’ll pick the cash — there are so many things you could do with it! What world leader do you admire the most, and why? Among those living, uh, I don’t really know. Among those in history, I like admire Napoleon and Winston Churchill for their powerful speaking skills and George Washington (though he wasn’t exactly world leader) because of his humility, perseverance, and character. And I’m not sure if Jesus counts as a world leader, since He wasn’t really a political leader, but if so, I like Him best because of His humility, love, wisdom, power, selflessness, speaking abilities, self-sacrifice, and all around for being God with us! My answers to Sarah’s questions~ 1. How many novels have you written, if any? 2. If you could live in any book, which one would it be? Cheese-its! And I love anything with chocolate! 5. What are your favorite genres to read and/or write? 6. What are your pet peeves? Hmm. I don’t like fingernails on a chalkboard, stuff laying all over my bed when I want to get in/on it (there’s this girl who always leaves stuff on it), not being able to find the thing I just set down 30 seconds ago, having to put down a project or a book right in the middle of an exciting part, and that’s all I can come up with right now. A rather pathetic list, I know… Sigh. 7. If you could take the skill of any author, which one would it be and why? 8. Which book character (or characters) do you most relate to? 9. What is your favorite music genre and/ or artist? I like Celtic-style hymns best, I think. My favorite artist is Michael Card (and, among other things, he does Celtic-style hymns!) But I like classical music — Mozart, Vivaldi, some of the more livelier composers — a lot, too. 10. Love triangles: yay or nay? 11. What makes a book good? As I wrote for Michael’s question, good characters make a good book. If you have unrealistic, undeveloped, unoriginal/too stereotypical, boring, our poorly picked characters, the story will flop — no matter what your writing style. And vice versa — if you have good characters, people will read your work, even if your style is a little awkward. Well, since I don’t have a novel, this is a little hard to answer… I might pick Andrew Davies (from Pride and Prejudice and Sense and Sensibility) as screenwriter and maybe Harry Gregson-Williams (of Narnia fame) as composer. Actors I like include: Georgie Henley, Skandar Keenes, and Ramola Garai among others. 13. Which superpower would you chose and why? 14. Favorite book growing up? I kind of still am growing up. 😉 But when I was younger… Hmm. I know I remember reading the short little books that made up the story The Lion, the Witch, and the Wardrobe — the little ones we got from Chik-fil-A 😉 with Dad and liking those (maybe that’s why I’m addicted). One of my favorite series growing up was the Promised Land Diaries — historical fiction set in Bible times and written in diary form. 15. Do you kill your characters left and right, or do you do keep them alive at all costs? Do you play an instrument? If so, which one? And if you could play any instrument you don’t already play, which would you pick? What is your favorite parable of Jesus? Mexican food or Italian – which is do you like better? If you could be amazing at any sport, what would you pick? Which Star Wars is the best? And do you like the Prequels or the Trilogy better? In Little Women (the one with Winona Ryder), have you ever noticed the drool string between Laurie and Jo when they kiss? Is Jane Austen only for girls? 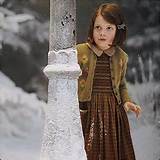 Do you prefer the chronicles of Narnia in chronological order or in the order they were written? Have you ever sung out loud ‘Let It Go’ — even if no one else could hear you? If you could pick any time in the Bible to live, when would you pick? If you could only read on Old Testament and one New Testament book for the rest of your life (God forbid 🙂 ), which would you pick? And finally, is a tomato a fruit or a vegetable? On that note, do you say tom-AY-to or tom-AH-to? Oh looooooook, a nomination thing! I’ll do this!